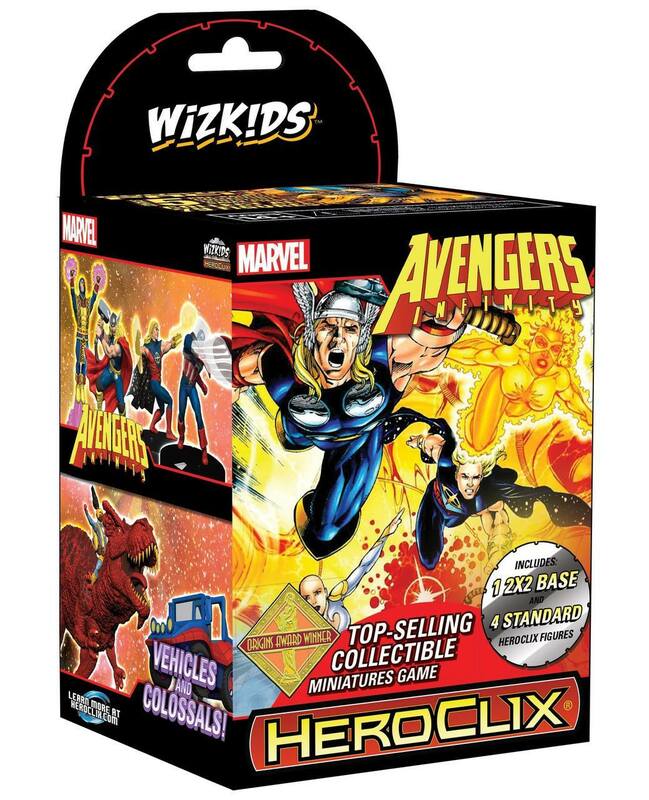 The biggest event in Marvel history is coming with Avengers: Infinity War, and now you can bring the cosmic adventure to the gaming table with Marvel HeroClix: Avengers Infinity War! Featuring new figures and dials, these figures will have you assembling a team to take on threats cosmic! Available in a Colossal Booster Brick, a Fast Forces 6-Pack, and a Dice & Token Set..